We moved to our new location (1 block SW of our previous site) in May, 2011, and are still working on finishing touches outside but we're open for business. Stop in and visit! 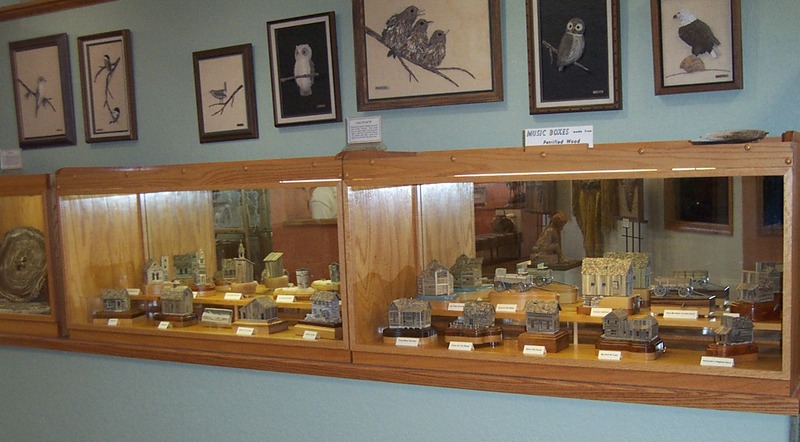 The Petrified Wood Gallery is a showcase of natural history specializing in ancient woods and fossils from around the world plus Native American arrowheads and artifacts -- many from within 25 miles of Ogallala. The collection is a result of the efforts of brothers Howard and Harvey Kenfield who began collecting in the 1950's. In 2000, the Kenfields donated their collection for display in Ogallala and for the benefit of the general public. 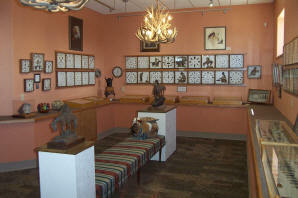 In 2007, the Friends of the Kenfield Gallery received designation as a 501(c)(3) organization. Guests to the Gallery will also see the artwork of visiting artists and "on-loan" exhibits from other collectors. Guests from all over the globe are greeted by volunteers from the Retired Senior Volunteer Program (RSVP). In addition to multiple locations throughout Ogallala and Keith County, these dedicated members of the community serve as cashiers and hosts at the Gallery. Copyright Petrified Wood Gallery 2001-2011. All rights reserved.